After years of occupying a tier 2 watchlist spot on the annual US Trafficking in Persons Report (TIP), back in 2014, Thailand was stung by a downgrade from Tier 2 to Tier 3, Tier 3 being the lowest possible grade. Tier 3 is serious for all the human abuse reasons plus it can result in both trade and aid sanctions if the US president doesn’t sign a waiver allowing continued cooperation with the offending nation. In a country with relative political stability, peace and economic growth plus nearly 200,000 police officers spread across 1,400 stations, why did this issue get so out of control? First, Thailand welcomed over 35 million international tourists in 2017. That is a huge number considering the total population of the country is around 67 million. What’s even more shocking is that just 15 years ago, only around 10 million tourists came into the Kingdom each year. The massive movement of people throughout the country, especially with such exponential growth, has made it easier for traffickers to evade authorities. Greater demand for prostitution and cheap labour makes traffickers eager to get their piece of the tourism pie. Second, Thailand has experienced decent economic growth rates as of late and is much more developed than its SE Asian neighbours. While this is fantastic news for the region, it also creates a magnet for unskilled, uneducated labourers to seek better lives, often at the hands of modern-day slave drivers, particularly in the fishing industry. Welcome to the Land of Smiles!… and human trafficking. That’s not exactly the tourism slogan that would fill the beaches, hotel rooms and jobs with tourists and expats eager to explore all the wonders that Thailand has to offer. But until recently, it may as well have been. Thailand is the number one exporter of seafood in the world which puts an increasing demand on boat captains to get cheap labour and cut costs in order to remain competitive. The typical image that one gets in their mind when thinking of human trafficking is of a woman or a child, in fact the largest offenders in Thailand are in the fishing industry and the victims are men. Lastly, corruption and lack of proper laws/enforcement of laws made it easy for traffickers to grease the palms of desperate and unethical police officers and local mafia bosses. Coupled with slap-on-the-wrist laws that were not enforced, even by the majority of good officers, it was a recipe for disaster. Adding to the bureaucratic problem, human trafficking was not on the national agenda which means that each department basically went about handling it (or not handling it) on their own with essentially no cooperation or larger goal. The boom of tourism, magnetism of better employment and scourge of corruption were a perfect storm resulting in the explosion of human trafficking and the subsequent 2014 downgrade. However, despite all of these hurdles, this isn’t a bad news story, there is a silver lining. The downgrade seems to have had the intended effect of spurring Thailand into action to fix this problem. In 2018, Thailand was upgraded back to Tier 2. According to the US Department of State, this means that “Thailand does not fully meet the minimum standards for elimination of human trafficking; however, it is making significant efforts to do so”. Anecdotally, this article came to be because Police Major General Worawat Watnakornbancha (Commander of Anti-Trafficking in Persons Division) of Anti-Human Trafficking in Persons Division) and Police Colonel Athiwit Kamolrat (Deputy Commander) reached out to Expat Life, not the other way around, to sit down with us for well over an hour and explain what efforts they have been making and how the foreign community can help them with this problem. Authorities were also given a lot more power to convict and prosecute offenders. In addition, laws were introduced that punish law enforcement officers who are complicit in human trafficking at three times the rate of a civilian. Significantly more criminals were tried and convicted under the new laws. US Department of State, “The (Thai) government reported investigating 302 trafficking cases (333 in 2016), initiating prosecutions against 638 suspected traffickers (493 in 2016), and convicting 466 traffickers (366 in 2016) in 2017”. Combined with new national awareness, the greater ability for the authorities to prosecute and convict traffickers is moving the country in the right direction. Most importantly, the problem needs to be stopped before any at-risk individuals get into the hands of these predators. There has been a major step up in awareness and prevention programmes. 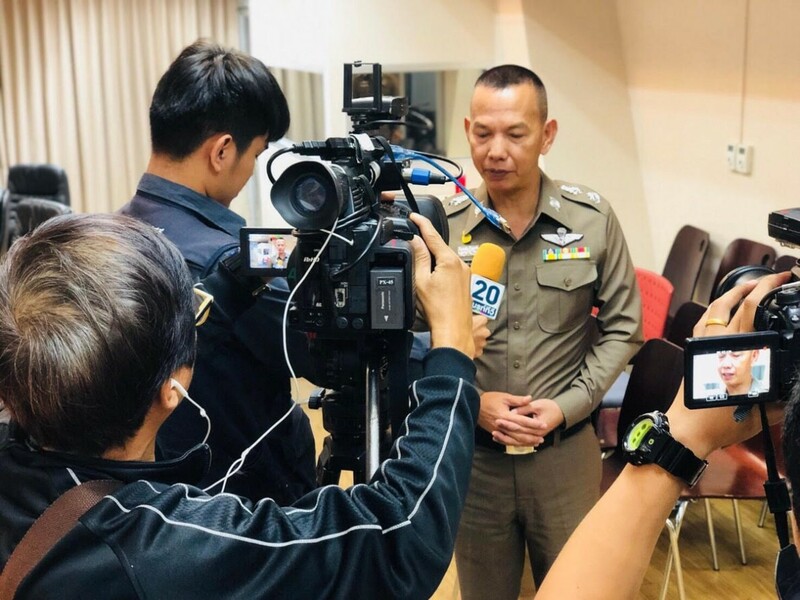 The Anti-Trafficking in Persons Division of the Thai police, now headed by Major General Worawat has instituted several programmes aimed at educating at risk youth. 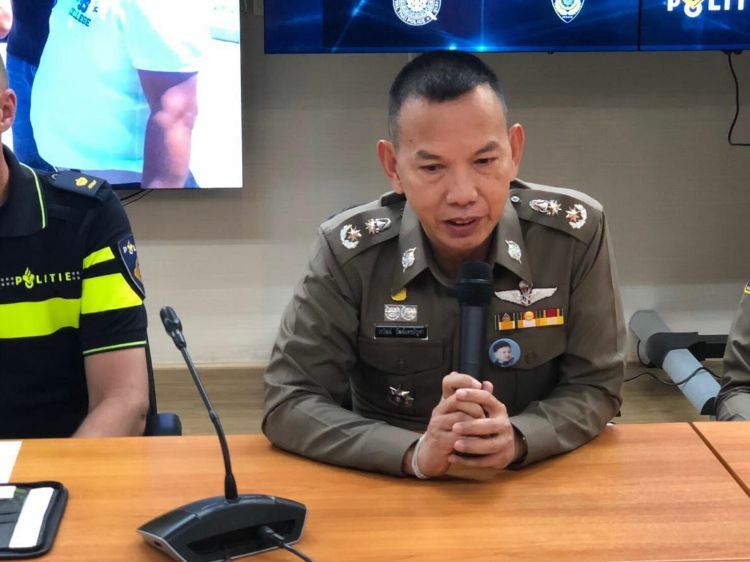 They have also worked together with the cyber-crime division (Major General Worawat’s previous department) to crack down on the growing issue of trafficking, particularly of young boys, on social media. According to the Commander and his team, because they have made their presence known at so many more physical locations, the problem is moving online. The specialised task force now works closely with NGOs to educate at risk groups and helps the victims. With the FBI, Interpol and other law enforcement agencies they have created initiatives to find the perpetrators before they can gain traction. So, what do the Commander and his Deputy see as the future of human trafficking in Thailand? “We want to be tier one by 2019! 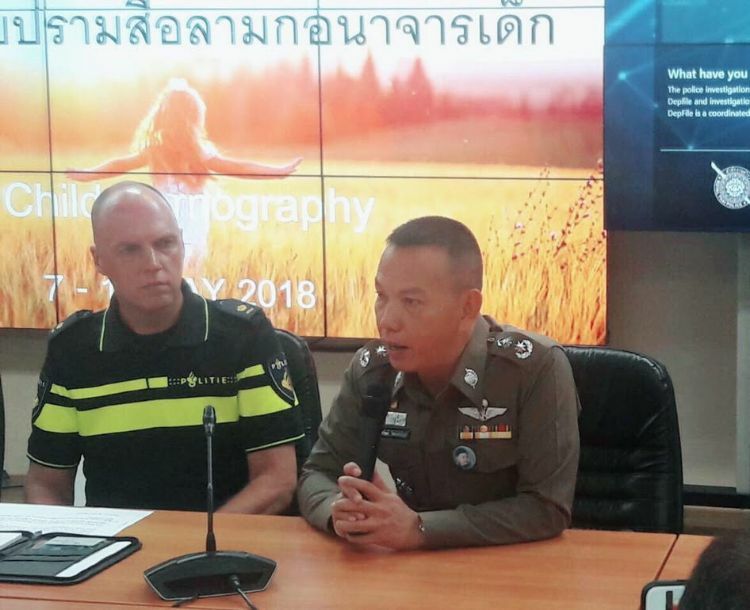 But we understand it may take a little more time.” They also want foreigners/expats to know that if we see something questionable, we can call their anti-trafficking hotline – 1191 – but for now, unless you speak Thai, ask a Thai friend for help as the call centre is new and not yet staffed with English speakers. Now that you as a reader are aware of what’s being done at the government level, we invite you to join the momentum of this movement and learn more about what Thailand is doing to help stop human trafficking. Look into NGOs in your area that are helping the victims and see if you can provide assistance in some way. Together as a community, we can put an end to this deplorable behaviour and make sure more of the victims of these heinous crimes can smile again.